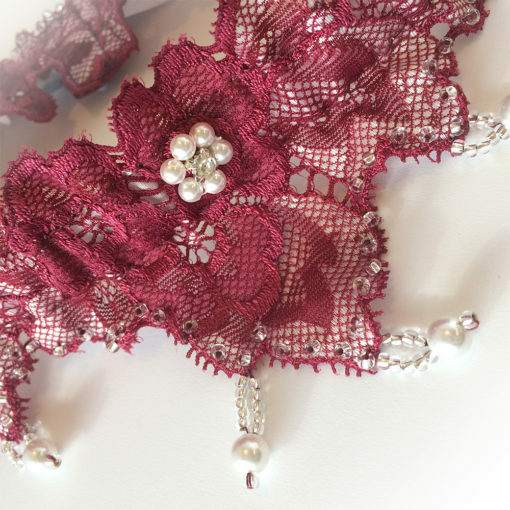 For this luxury Swarovski Christmas garter, I’ve handstitched the gorgeous burgundy lace with pale 6mm Swarovski pearls and clear crystals, the soft French lace I’ve lined with a pure silk band concealing the elastic. 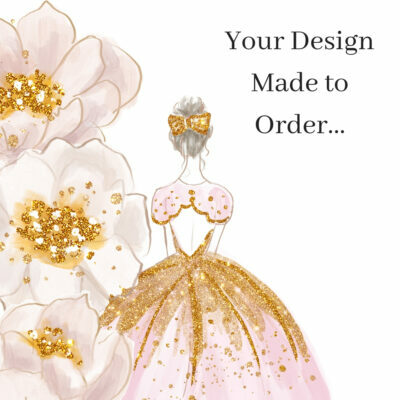 I’ve designed it to sit fairly flat on your leg, perfect under a slim fitting wedding dress, I hope you love it! 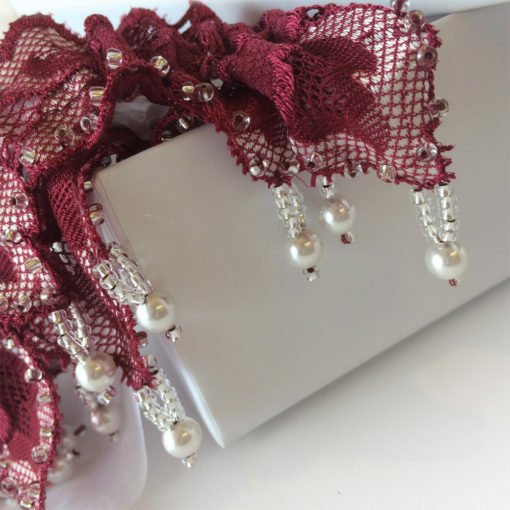 Are you having a Christmas wedding? For this luxury Swarovski Christmas garter, I’ve handstitched the gorgeous burgundy lace with pale 6mm Swarovski pearls and clear crystals. 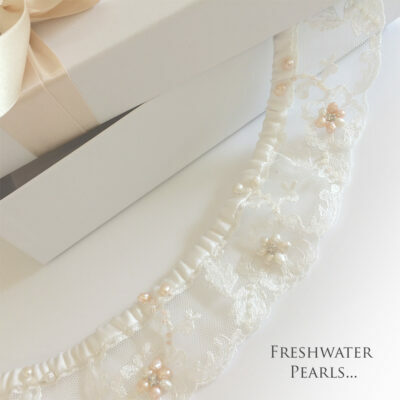 I’ve had the soft French lace a little while, waiting for the perfect beads. When I started stitching the swarovski pearls around the hem, it made me feel so Christmassy, I thought it would be wonderful for a Christmas gift or a Christmas wedding! 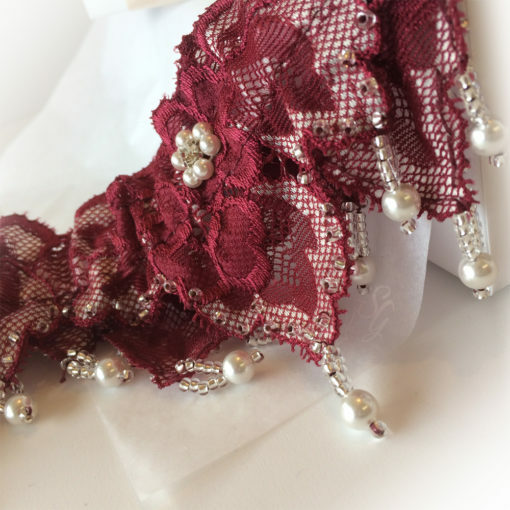 I’ve lined the garter with a pure silk band concealing the elastic. 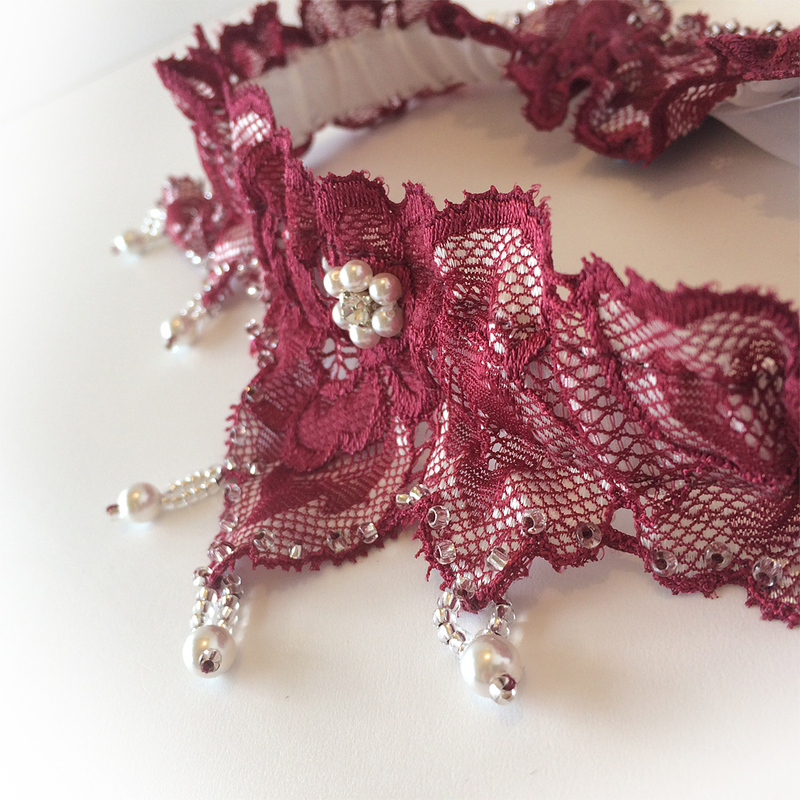 Gorgeous Calais lace in burgundy with silver highlights, handbeaded with silver seed beads and Swarovski pearls. As with all my garters, a tiny blue bow is inside for your ‘Something Blue’.